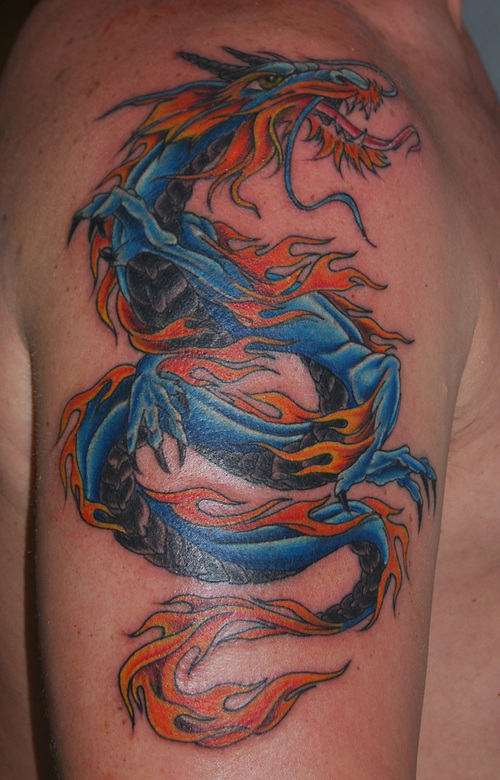 When it comes to choosing a tattoo design, dragons, are the most poplar of all mythological creatures to be picked. Dragons are usually shown as wise, powerful and free. The Vikings used to carve dragons onto the prow of their ships, as they believed that the dragons would grant them cunning and supernatural sights. The Chinese believed that the dragons were the son of Gods and that they were their protectors. However, in the West, the dragons were seen as destroyers, who razed villages to the ground and were the selfish guards of huge amount of wealth. In Japan, dragons were seen as a caring husband and a father, while in Russia, they were shown as creatures with three heads and seven tails. 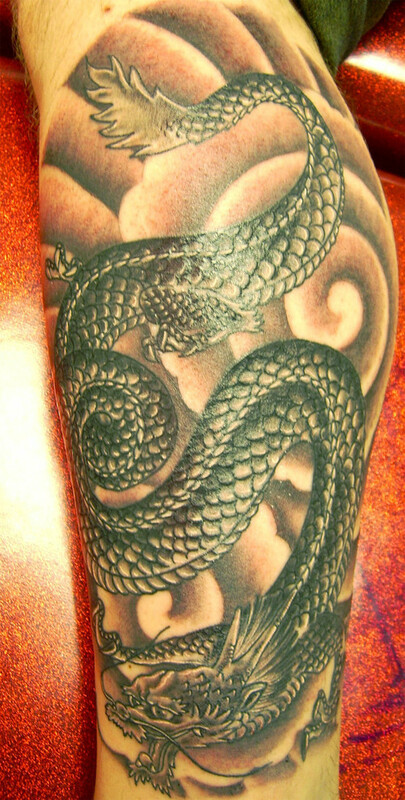 Just like the dragons, the tribal dragon tattoos for men as well as women also symbolize different things. 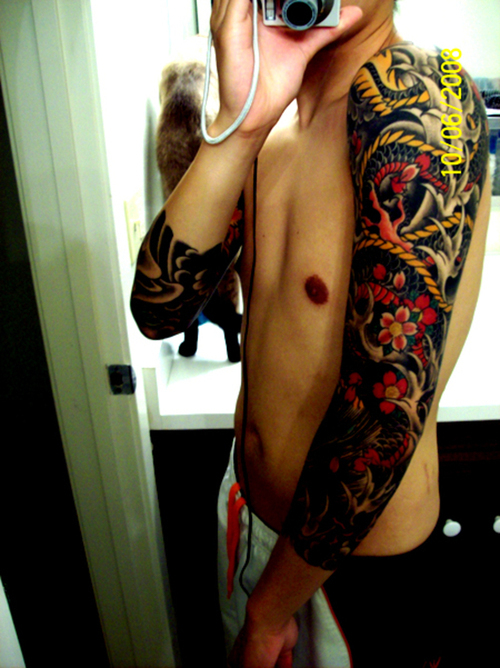 Let’s see what they are and also what are the different types of dragon tattoos for men. 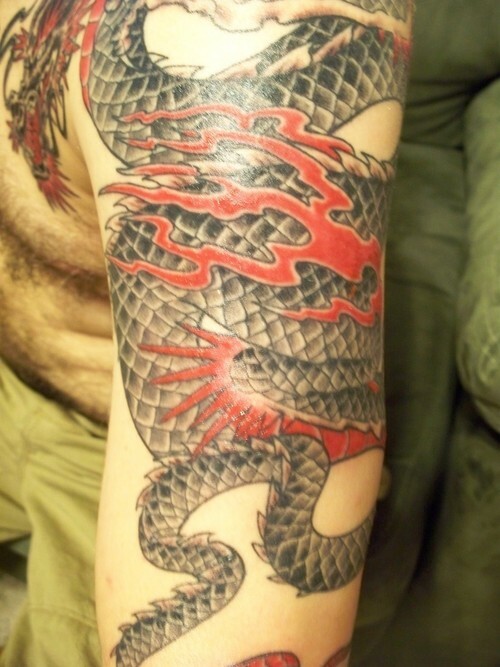 When opting for a dragon tattoo, people usually go for the Eastern dragon tattoos, as they are the protectors. 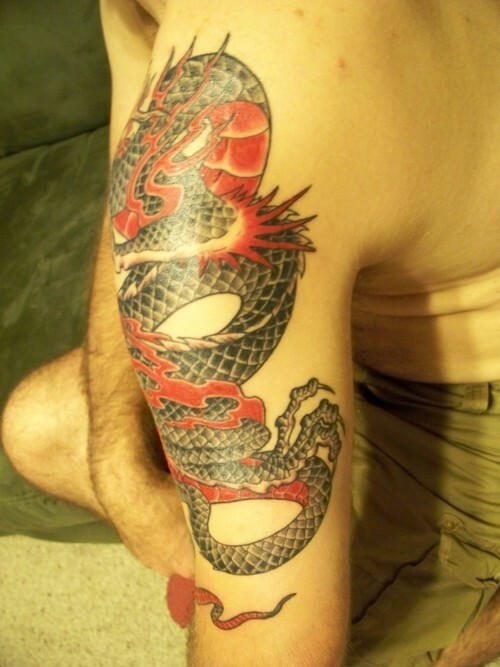 Dragon tattoos for men symbolize power, courage, wisdom, strength and protection. Men, in the historical period were considered to be the guardians of their loved ones and so were the Eastern dragons. 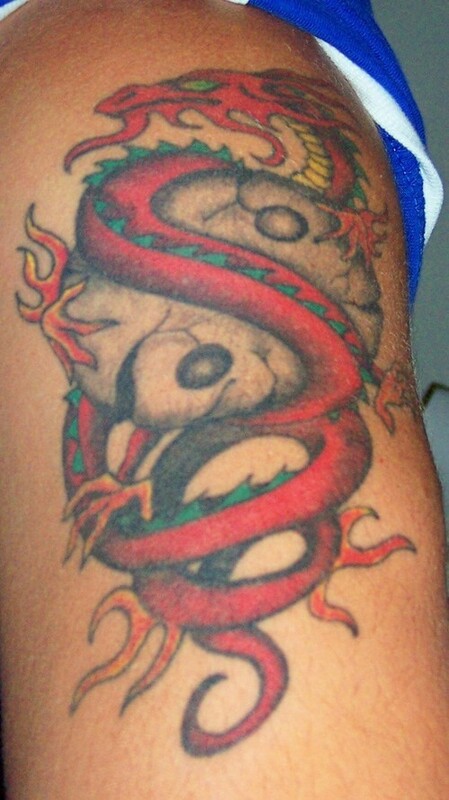 Dragon tattoos for women symbolize the beginning of a new life, and women are the creators of new lives. 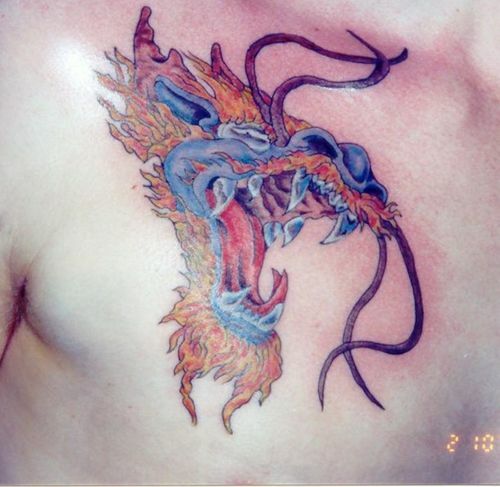 Nowadays, the tattoo artists have come up with different styles of dragon tattoos, mainly for the women and the younger population, such as kissing dragons, or a smiling dragon. But these are not the proper dragon tattoos for men. They prefer more fierce and the terrifying depiction of the dragon. These were the dragon tattoo meanings. 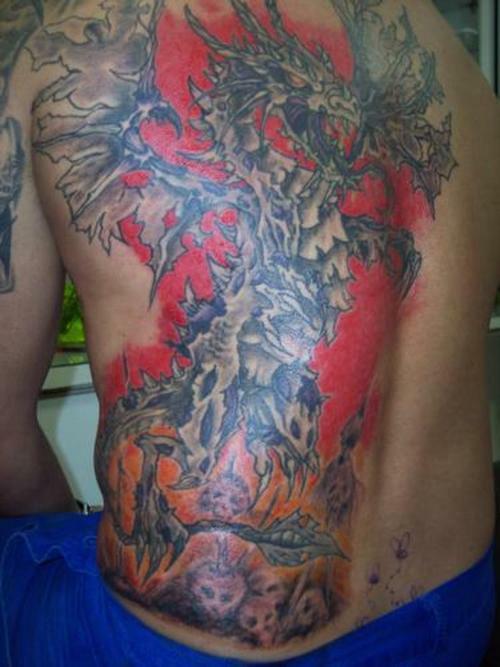 Now, let’s see what are the different types of dragon tattoos for men. 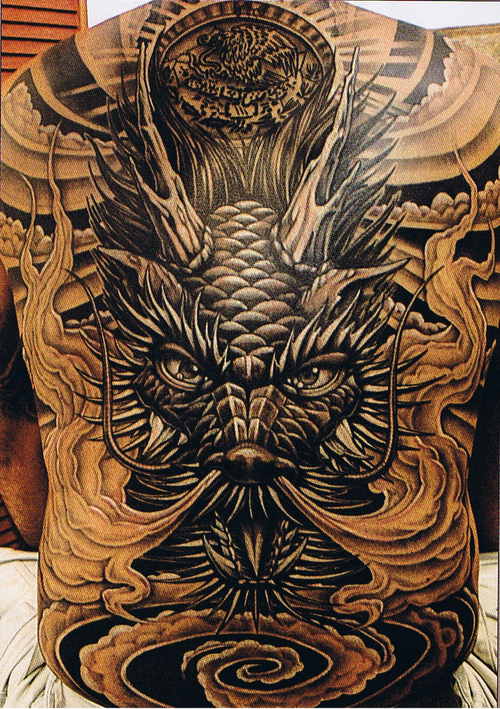 Choosing the right Chinese dragon tattoos for men, needs lots of research and patience. 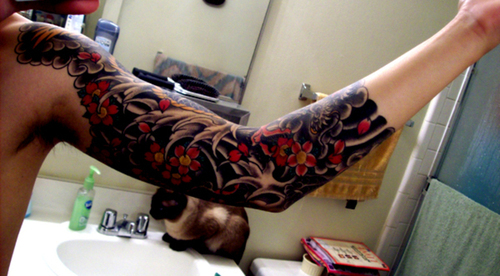 But its worth the effort to have a tattoo that tells what kind of a person you are. Be sure that whatever Chinese dragon tattoos you choose, it should be done properly by an artist who has enough knowledge in this area. In the Chinese culture, it is a taboo to disfigure the image of a dragon. It indicates disrespect towards the society. Dragons in China are a symbol of strength and power. So be careful while choosing these as a tattoo design. Unlike the East, dragons in the West were considered to be evil, a destroyer of villages and lives, and abductor of women and children. They usually look like the serpents with powerful muscular bodies, four strong legs, a head shaped like a wedge, sharp pointed teeth, elaborate ears, horns, spines running down their backs and a tail like a rudder. They had large wings which helped them to fly up high altitudes. During the Middle Ages, the brave knights fought these dragons, killed them and took over the protected treasures, or, as you probably have seen in movies, saved the maiden in distress. Some people from the Western world believed that the dragons were superior beings and the person who would slay them, became famous. Some also said that eating the heart of a dragon, gave you the ability to understand birds or rubbing the dragon’s blood against your skin, protects you from any kind of stab wounds. 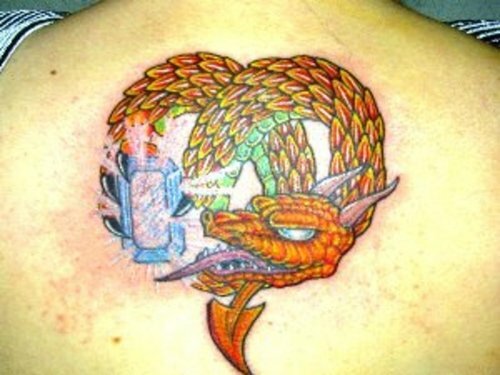 It’s usually the prison tattoo artists who ink the Western dragon tattoos for men. 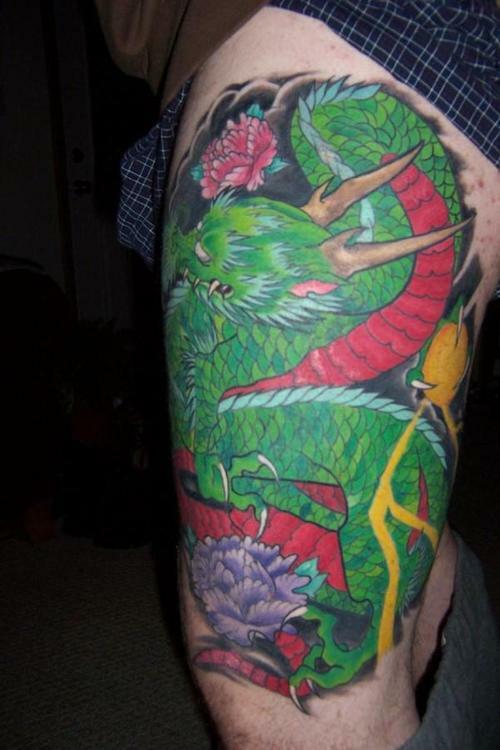 But, maximum people go for the Eastern dragon tattoos.